Totally Updated Contemporary in Great Location! SOLD!! WOW - THIS ONE'S A KNOCKOUT! Virtually everything has been updated! Contemporary, open layout. Sunny south-facing home. Perfect finishes and colors. Gorgeous white kitchen w/granite counters, stainless appliances & huge island. Wide plank hardwood flooring. Awesome basement finish. Upper level laundry. Vaulted master suite. Lovely wooded back yard. New/newer: carpet, hardwoods, paint, roof, furnace, hot water heater, lighting, trim, hardware and much more! 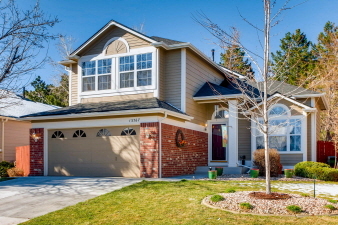 Simply a gorgeous home in high-demand Green Mountain. Hurry on this one!